Pacific Rim Winemakers is a Washington winery owned by Randall Grahm (also owner of Bonny Doon Vineyard in California). 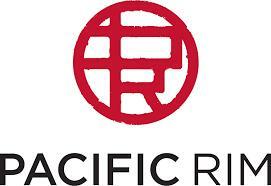 Pacific Rim's winery is located in West Richland (Tri Cities area in Eastern Washington) and specializes in Riesling. The wines have been produced since 1992 by Randall Grahm himself and more recently (since the 2006 vintage) by Nicolas Quillé. Pacific Rim produces principally Riesling from Dry to dessert style (seven Riesling in total including several single vineyard sites in the Columbia Valley) and also small amounts of Gewurztraminer and Chenin blanc. In 2011, Banfi Vintners bought the company for an undisclosed amount and is now run by long-time employee Nicolas Quillé as a general manager and head winemaker. "The wine is crisp, dry and lush with flavors of citrus, jasmine and minerals. Our Dry Riesling is endlessly versatile and harmoniously complements the world's most vibrant and flavorful cuisine - from Asian to European to a wide variety of seafood, cheeses and cold meats." "This wine leaves no doubt about the variety, with its freshly peeled orange and jasmine notes. The palate is sweet yet not cloying, with impeccable balance. For those looking for a well-priced sweet wine, look no further." Pale straw color. On the nose, jasmine, pear and apple. On the palate, apricot, jasmine with a balanced sugar level. Pale gold. Honey, pear and orange blossom. Sweet, bright acidity with pineapple and white peach.